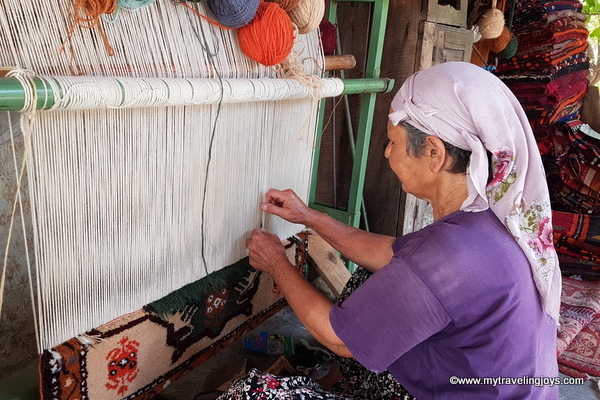 Before enjoying my Turkish Köy Kahvaltısı near Bodrum, I was introduced to a Turkish mother who sat on a cushion weaving a large carpet with homespun wool. Her nimble fingers moved quickly across the old wooden loom. She made double knots using different colored yarn, but she had no pattern. Every design she made was done by memory. 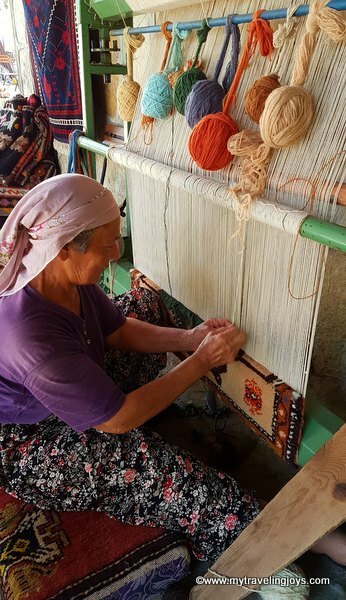 Engin Başol, owner of Etrim Hali Carpets located in the small village of Etrim, about 24km from Bodrum, introduced us to his mother, Ümmüham Başol, who was currently weaving the carpet for us. His family roots in the area date back 500 years. Engin Başol, along with his father, Mehmet, run the Turkish carpet business which is a cooperative made up several local villages enabling women who can weave to sell their rugs. 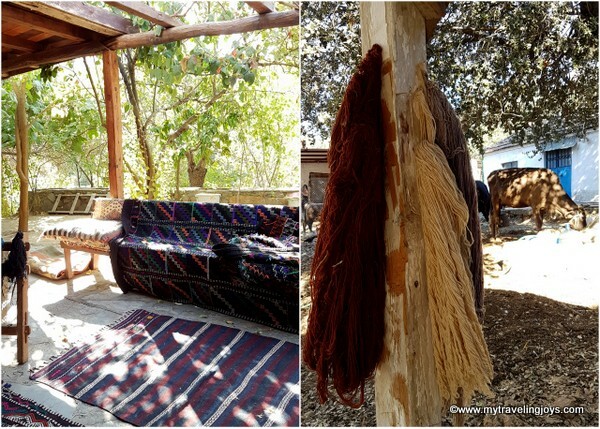 The younger Başol, who spoke English, explained that they are trying to preserve the local traditions such as carpet weaving. 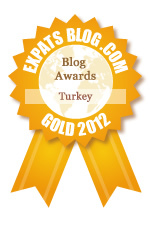 “I feel like it’s a dying art as the younger women want to move to the city and then they marry Bodrum men. They leave the village life behind them,” Engin Başol said. As he leads us through the main building, I am amazed by how many Turkish carpets and kilims fill each and every single room. They are stacked on top of each other or rolled up in corners, on the floor or on a bench. The bright colors and different patterns are astounding. Although I already own two Turkish kilims, I wished I had more time to buy another one or maybe even two. Ümmüham spends two months making a wool double knotted Turkish carpet (the fluffier kind of rugs that can be mistaken for Oriental rugs) that measures approximately 1.5 meters in dimension while a flat-weave kilim takes three weeks. She also hand-dyes the wool yarn using only natural ingredients such as flowers, roots and spices. She shows us the yarns hanging outside on hooks to dry while cows and chickens laze about in the yard nearby. 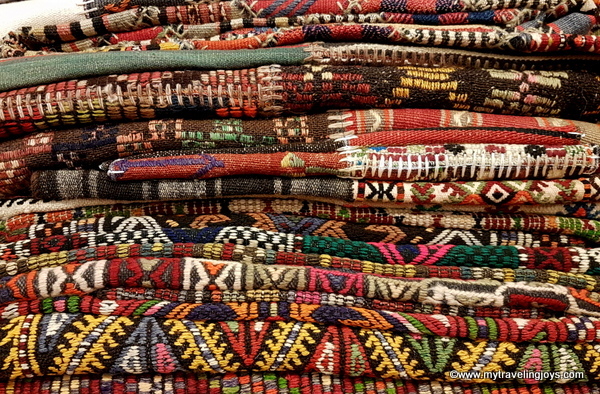 To me, buying a Turkish carpet or kilim is a personal experience. 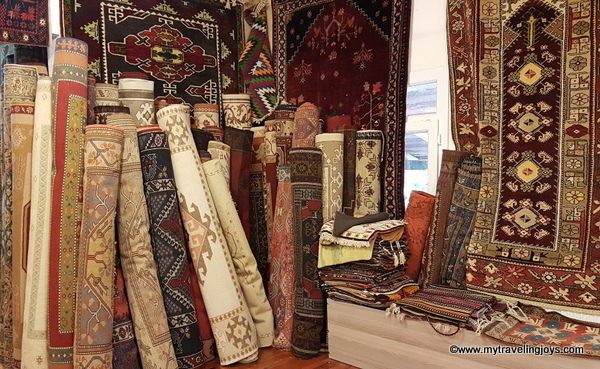 When we lived in Turkey, I took several friends to buy Turkish carpets from the Grand Bazaar in Istanbul. When I finally purchased my own, I spent about two hours looking at dozens of different styles. And even though I love my kilims, I don’t know the story behind them. 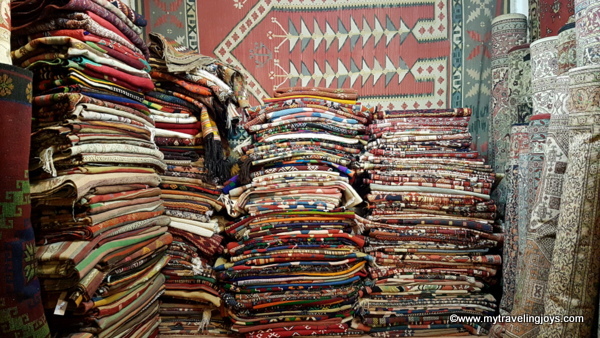 Getting a Turkish carpet or kilim from Etrim village and the Başol family is a memory that would last forever. 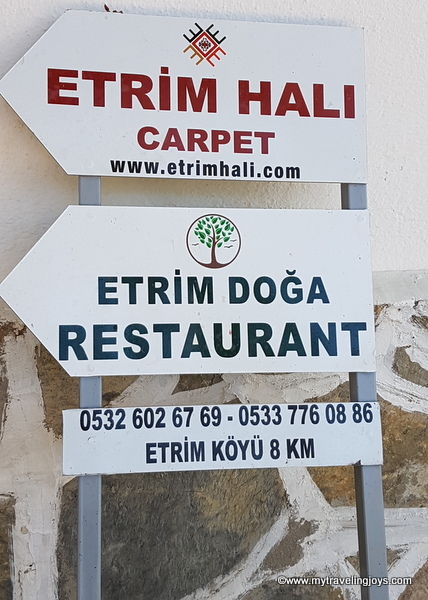 If you’re visiting the Bodrum area, feel free to call Engin Başol so you can enjoy a traditional Turkish breakfast and see the carpets for yourself. It’s also a good opportunity to visit and learn about a Turkish village in person. When I moved to the countryside 25 years ago, every house in our local village had a loom. Now there are none.